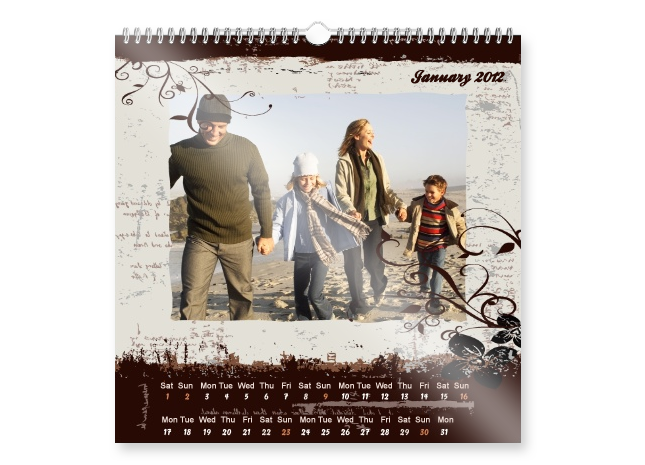 The square format makes the photo calendar a highlight on any wall. 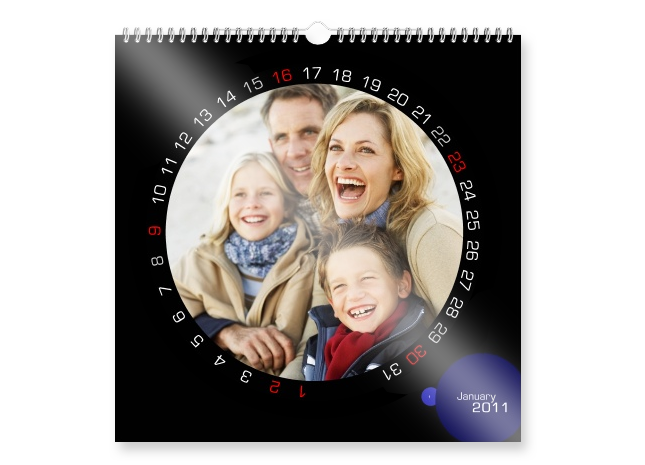 Practical format on real photographic paper for your most special pictures! 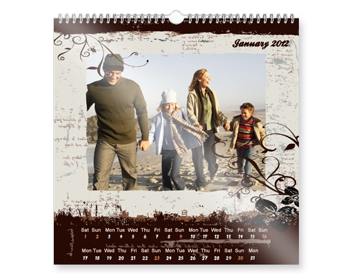 The square 12"×12" format offers a great variety of layouts to design your own picture calendar. Design freely in the FotoInsight Designer software or pick your favourite from our large range of calendar templates and designs to make your photo calendar even more unique. 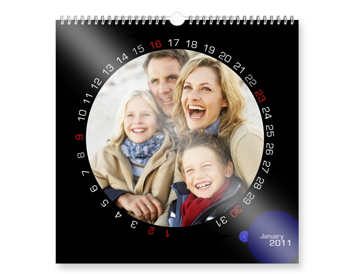 For a great photo gift at any time of the year, you can set the month you want your calendar to start in!